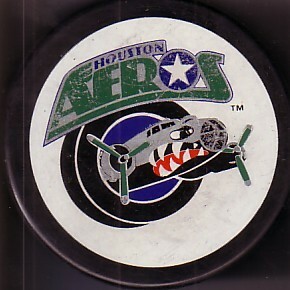 Official Houston Aeros vintage 1990s era IHL logo hockey puck. New and unused but with moderate rubbing. ONLY 3 LEFT.